This is David from Northern California. I received my onairdesigns complete package within the week. Opening the package everything was very nice. I noticed that I had not specified a five pin mic plug in. I wanted to use it for my cobra which is five pin. I emailed Rich and he emailed right back and I called him. He explained my adapter it will work just fine and works with my uniden also. I just needed to use an audio cord to continue the loop with nothing added on. I got off the phone and read the paper that was included that explains everything. Now I know how you are there to help but this design is flawless. I wanted enhance my voice with some EQ and this setup makes it so easy and affordable. It is my pleasure to share my wonderful experience. Got my FX1 in today and hooked it up to my Cobra 2000 with a Shure SM58 going into the IRig and an IPad running the Vocalive App. After just a little help from my friends it was dialed in and getting great feedback from everyone I enjoy talking sideband and your rig makes it possible to have quality radio audio on SSB. Email me with any questions & custom build requests at: rikki2001@verizon.net Check the “blog page“ often for the latest Testimonials on new products, or other cool stuff. To leave a feedback comment on your recent purchase please click here > Leave a Feedback Comment Thank you!! It’s much appreciated and helps other buyers to make the right decisions. 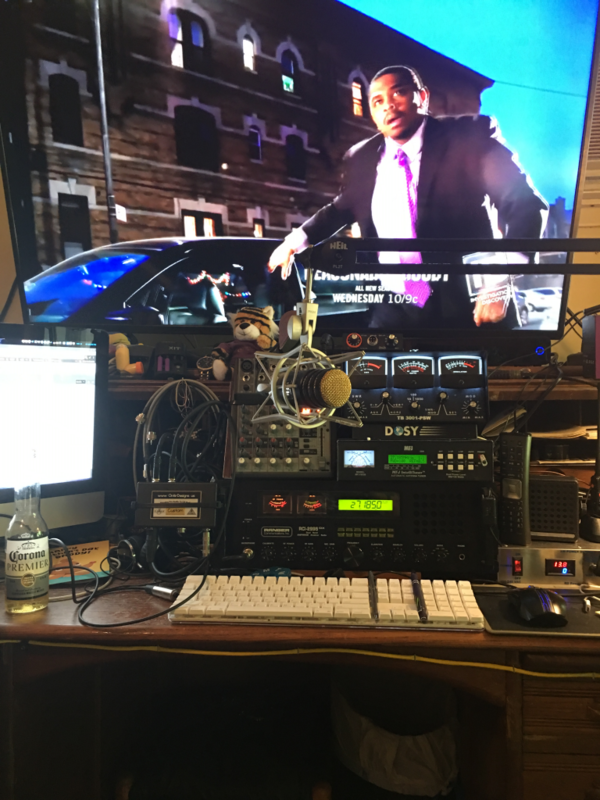 I received my fx1 the works it was very easy to hook up and I love it getting good audio reports about how clear it sounds thanks Rich! Roy aka T-ROY Starkville Ms. I just received the first FX1 pro and got it all set up. Works awesome and was EASY to setup. Can hardly wait to get the other one. Thank you for a well built product. The customer service is great! Rich definitely goes the extra mile in helping you out! AWESOME! Those who have RCI2995DX’s are now in for a TREAT! I Received my FX1 and now have STUDIO quality Sound from RCI using a Heil PR781G and a Berringer Xenyx 1002FX board. The ability to run one on an RCI was previously unheard of. Rich has GOT A WINNER! He was great from order, shipping, and final setup. It’s like having a new radio. Great reports from DX’ers.